Our product range includes a wide range of pasting gum, guar gum powder, gum powder for paper cone, tapioca thippi flour and binding gum. Pasting gum is specially developed for use in the corrugated paper packaging boards having the advantages of consistency and perfection in terms of quality. This gum is mainly used in semi-complete automatic plants. Better penetration to form deeper fiber-tearing bonds with minimal cure time. High Solids Ensure Higher Compress Strength, Stiffness & Superior Bonding & No Chance Of De-Lamination. Fast drying time which ultimately results faster running speeds - resulting in higher production output. Has low gelatinization temperature thus minimizing the power consumption giving higher machine speed which ultimately results into greater production yield. Ready to Use Within Few Minutes i.e. No Dependability, In-House Gum Making Whenever Required. Superior bonding & its used as biding glue in various sector. 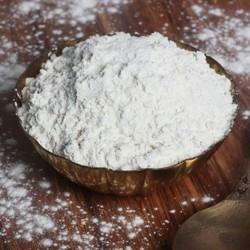 Guar Gum is a white to yellowish white powder and is nearly odorless. Fine finished Guar Gum Powder is available in different viscosities and granulometries depending on the desired viscosity development and applications. 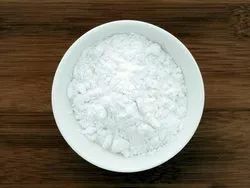 Guar Gum is a natural high molecular weight hydrocolloidal polysaccharide composed of galactan and mannan units combined through glycosidic linkages, which may be described chemically as galactomannan. Guar gum is a cold water soluble polysaccharide, consisting of mannose and galactose units. This ability to hydrate without heating makes it very useful in many industrial and food applications. Dissolved in cold or hot water, guar gum forms a slime of high viscosity. Guar's viscosity is a function of temperature, time, and concentration. Solutions with different gum concentrations can be used as emulsifiers and stabilizers because they prevent oil droplets from coalescing. Guar gum is also used as suspension stabilizer. 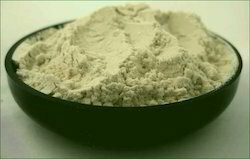 The physical and performance characteristic of specific guar grades are determined by mechanical treatment before and after the endosperm is milled to its final, light tan flour form. Guar grades hydrate in both cold and hot water to yield viscous solutions. Different guar gum powder grades are manufactured as per its industrial applications; for thickening, stabilizing, texturizing, enhancing suspension and flow control properties for industrial products, food products and processes. For industrial use, addition of desirable qualities such as dust elimination for powdered products, the manufacture of stronger pellets, better flocculation or slip aids, for your processes or finished products. Thickening agents, or thickeners, are substances which, when added to the mixture, increase its viscosity without substantially modifying its other properties, like taste. They provide body, increase stability, and improve suspending action. Thickening agents are often food additives. The most common used of Guar gum is its use as thickening agent or thickener. The thickening agent provides body, increase stability, and improve suspending action. Thickening agents are most often as food additives. Thickeners are frequently based on polysaccharides (starches or vegetable gums) or proteins. Guar Gum is a thickening agent derived from guar beans which is very useful in various baking applications. It is primarily used in hypoallergenic recipes that use different types of whole grain flours. Because the consistency of these flours allows the escape of gas released by leavening, guar gum is needed to improve the thickness of these flours, allowing them to rise as normal flour would. We are suppliers of Gum Powder for Paper Cone, it is used for the Hot process automatic paper Cone making process. * Very effective solution for cost reduction. * It is cold water soluble no need to heat for glue making. * It is perfect formulated; there is no need to add any additives. * Shelf life is more than PVA glue and other Dextrin glue. * Strength is as good as PVA glue. * Drying -Curing time is as good as PVA glue. * Saving in Energy . * No wastage during glue making. 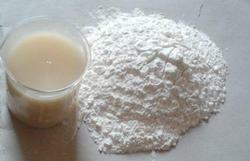 We are the leading manufacturers of thippi flour for binding agent for paper industries high viscosity and fast drying. We are the leading manufactures of all kind of pasting gum. Board Pasting Gum 901 is a ready to use liquid gum used to bond Paperboard to Paperboard or Paperboard to Micro flute as required in the manufacture of display cartons. The gum can be used in fully automatic machines semi automatic machines. The gum gives good bond strengths required for this application. The special feature in this gum is that it is thin and quick drying. Can be used for Meiguang machine and other local machines also.